How's that localisation going, Level-5? Fantasy Life, if you don't already know, is a 3DS title that came from a collaboration between Level-5 and Nintendo subsidiary Brownie Brown, which is now known as 1-UP Studios. It's a title where you can choose a a profession and interact with the large game world, and when you feel like it you can embark on an epic quest. The odds of it coming West are decent, as Nintendo has stated a focus to support localisation of Japanese games to the West, and Level-5 has filed related trademarks in North America and Europe. 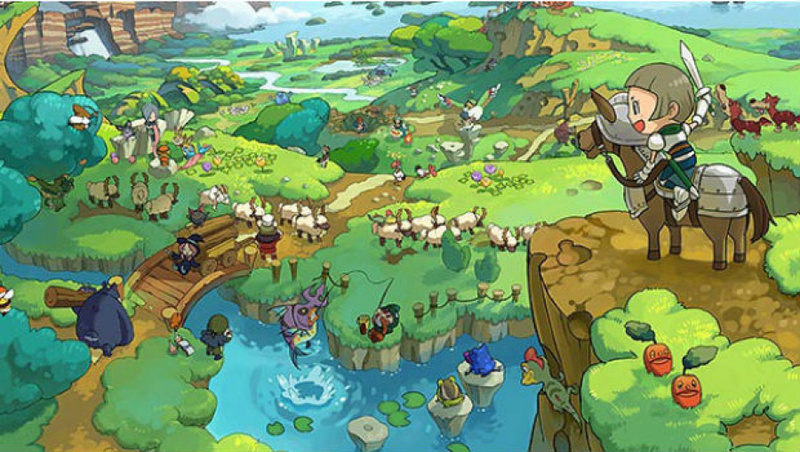 After a successful first release last year, Level-5 is preparing a follow up in Japan called Fantasy Life Link, which includes a new multiplayer option where four players on each other's Friend List can play together online and send each other status updates and messages; the new content will also include an additional island to explore. Arriving on 25th July, Japanese gamers will have the choice of a newly branded version with the original game and additional content (for 4,980 Yen), or those that already have the first release can download the extras for 2,000 Yen. We'd hope that, should this indeed be brought to the West, it'd be the full package of the original and "Link" extras. We're cautiously optimistic, in any case, and the debut trailer for Fantasy Life Link, below, does nothing to cool our enthusiasm. Check it out and let us know what you think. "How's that localisation going, Level-5?" American release for Christmas please? @Icefreak45 Iam happy Iam not the only one,I hope level 5 see's how many people want youkai watch to be localized. This seems like a mix of Final Fantasy and animal crossing which is pretty neat. Been waiting for this game since it was teased for DS. It's nice to hear some news about this this game, it's been a while. I am eagerly awaiting its arrival. I want this game sooooooo bad. Pleaseee Western Releases !!! is there anything we can do? pre-order first? petition? or anything to catch more of level 5's attention ? bringing it western ? This looks like one hell of an epic 3DS game! I sure wish I had this in the palm of my hands right now. But where's my Wii U version of Ni No Kuni? I really hope this will come out in US and Europe Would be a lot of fun! !